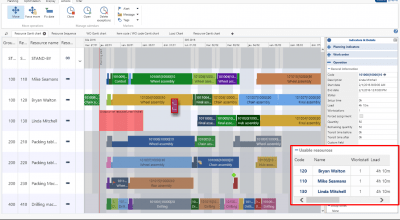 Why PlannerOne© Production Scheduler ? 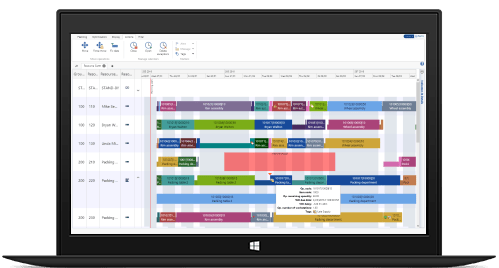 PlannerOne© Production Scheduler is the revolutionary scheduling solution that enhances the manufacturing module of Microsoft Dynamics NAV 2009 R2, 2013, 2013 R2, 2015, 2016 and 2017. 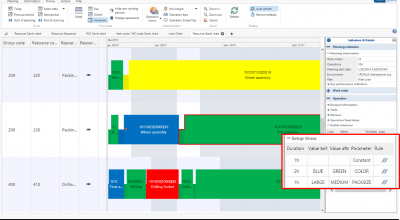 Microsoft Dynamics users will access the best scheduling capabilities in real time, in a single click and at the best price / performance ratio of APS software on the market. PlannerOne© is ready for Cloud and Mobility. It has been developed using the latest Microsoft technology (Visual Studio 2015, .Net 4.5, PowerShell) and is integrated into the Web, Tablet and Windows (RTC) client. 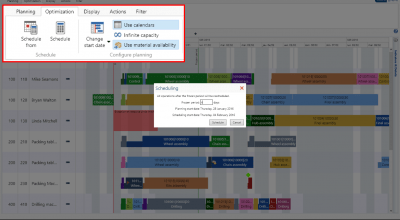 PlannerOne© is a web application that can also be accessed via Internet Explorer. 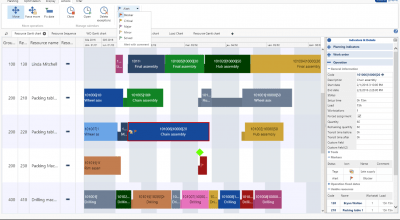 The PlannerOne© Production Scheduler component uses web services to interact with the Microsoft Dynamics NAV functionalities, enabling real-time communications that accommodate the integrity requirements of the ERP manufacturing processes. useable work or machine centers. setup times and production run optimization. the changes based on real-time synchronization of the plan. This guarantees a plan based on manufacturing constraints. until the problem is solved. Display the load at finite or infinite capacity to detect production bottlenecks.